Our team of pest controllers can help quickly remove unwanted pests from commercial premises and keep them out. Clients can rest assured they are in the hands of a quality, accredited pest controller and, by adhering to the pest control measures we advise, can be confident that they meet all health and safety legislation for both their staff and their customers. Whether your issue is mice, rats, flies, wasps, birds, cockroaches or other, we are a British Pest Control Association accredited member, here to offer our expert advice and guidance. There can absolutely be no margin for error when it comes to pest control. Failure to prevent or tackle pests on your premises can lead to staff or customer illness, a bad reputation and potential closure. Pests are always looking for that opportunity to access food, warmth and shelter and it only takes a gap in the wall or a few crumbs of food to entice them in. Good housekeeping practices within the internal and external bounds of your premises will certainly help, but this must be coupled with regular inspection and monitoring from a professional pest controller, working closely with a nominated person within the business. The sooner a problem is discovered, the quicker a solution can be made. 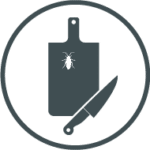 Are able to give you detailed advice on future pest prevention measures and provide comprehensive reporting systems covering all treatment aspects. You wouldn’t choose sub-standard suppliers or partners for other areas of your business, so if you are faced with a pest problem you need help with, it is important to work with professionals. Either fill in the form below and a member of our team will call you back, or call us direct on 01282 866 554. If you are looking for domestic pest control solutions please visit the BPCA website for recommended providers.